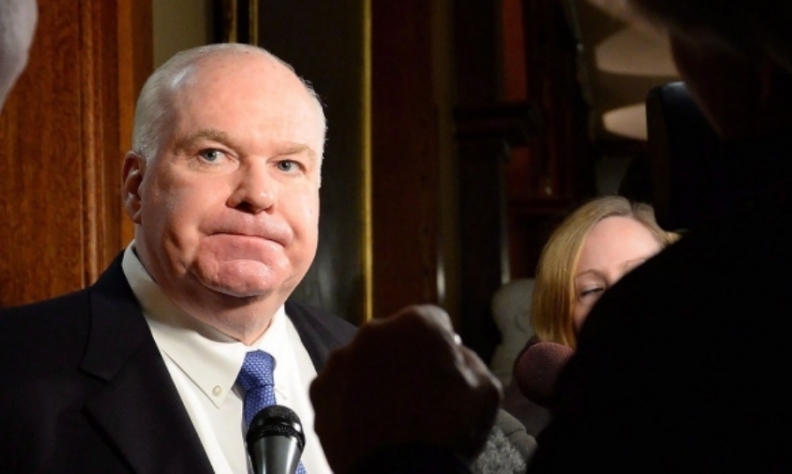 Ontario PC Trade Minister Jim Wilson will head to Washington, where he'll testify at the public hearing to investigate national security issues around imports of automobiles and automotive parts. TORONTO — Ontario's trade minister will travel to Washington this week to defend the province's auto industry at a U.S. Department of Commerce hearing. Jim Wilson said he will be speaking Thursday at the public hearing to investigate national security issues around imports of automobiles and automotive parts. Wilson said he planned to stress the economic benefits of working with Ontario's auto sector. "It is clear that Ontario is not a national security risk to the United States," he said. "The U.S. and Ontario share many of the same goals — together, we can advance our shared priorities of creating jobs on both sides of the border by developing strong, competitive business environments that spur innovation and growth." U.S. President Donald Trump has slapped duties on U.S. steel and aluminum imports from Canada and other allies and threatened similar duties on Canadian-made cars and parts. Wilson called for balanced and fair trade between the two countries, adding that Canada and the U.S. have an integrated supply chain that benefits both. "One in five jobs in Ontario, or 1.3 million jobs in Ontario, depend on good relations with the United States and our trade relations," Wilson said. "In the United States, we want to go down there this week and make it clear that nine million jobs (in the U.S.) depend on good NAFTA negotiations with the United States, and that's what I'll be doing at the end of the week." Wilson's trip to the U.S. comes as Ontario Premier Doug Ford has pledged to work closely with the federal government on trade. Ford has said he and his ministers would discuss the importance of reaching a new NAFTA deal and added that Ontario will not sit on the sidelines. Shortly after winning the spring election Ford met with Foreign Affairs Minister Chrystia Freeland and Canada's ambassador to the United States, pledging his help in trade matters. "It's going to be a full court press," Ford said after the meeting in June. "I'm going to be travelling to every single state because nothing is better than meeting someone eye-to-eye."